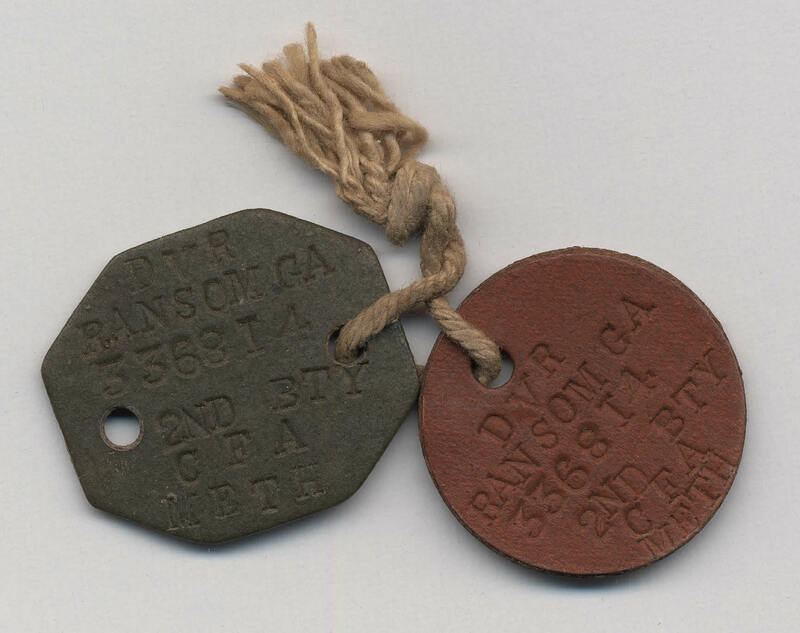 These identity discs belonged to Driver George Aaron Ransom of the 2nd Howitzer Battery, Canadian Field Artillery. He was killed during the Battle of Passchendaele on 6 November 1917 at the age of 24. He is buried at Brandhoek Cemetery, Belgium.